The use of bio-based and low impact materials provides an opportunity to reduce the amount of energy consumed during manufacture and transport, whilst potentially providing a number of significant performance benefits during operation, such as thermal performance, moisture control and good indoor air quality. Co-hosted by The Alliance for Sustainable Building Products and The Green Register, and kindly supported by Vision 2016, this event provided an opportunity to hear from the leading innovators in the sustainable materials sector and discover the pioneering approaches in which designers, manufacturers and academics are researching and developing low impact materials. From timber to straw bale, clay to hemp and lime, the event discussed a range of ground-breaking research projects and cutting edge methods of practice that are increasingly used by leading companies and individuals within the industry. We explored the current state of the sustainable materials sector, and debated how we can further the uptake of low impact materials and accelerate the UK’s transition to a low carbon, healthy built environment. The event was supported as part of Bristol 2015 European Green Capital. 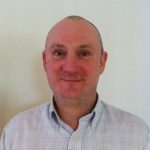 Andrew is Sales and Technical Director at Natural Building Technologies, one of the leading companies in the UK selling and developing high performance sustainable building systems for mainstream construction, including a range of bio-based and low impact materials such as the Pavatex wood fibre range. Back to Earth was started in 1995 by Chris Brookman, and has developed into one of the leading suppliers of sustainable building materials in the industry. Chris will be talking about the ways in which natural materials can be used to alter and improve the experience of living in a building. 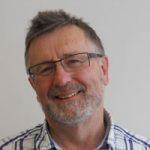 Chris will discuss how natural building materials can be used to achieve ultra-high standards of energy efficiency such as Passivhaus, including the construction process and improving comfort. 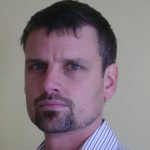 Jonathan is co-founder and Director of Eurban, one of the UK’s foremost cross-laminated timber designers and suppliers. Eurban have been involved with a range of innovative CLT projects in the commercial, education and residential sectors – including Bridport House in Hackney, the largest social housing development constructed from CLT in the UK. 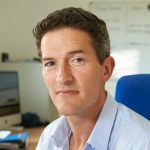 Craig White is the founder of White Design, a sustainability led architectural practice and consultancy firm based in the south west. Craig is also Director at Modcell, a super-insulated, pre-fabricated panel system consisting of straw bale and hemp construction that has recently been certified as the world’s first Passivhaus certified straw bale component. 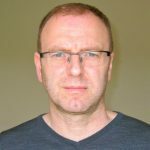 Dr. Mike Lawrence is Lead Researcher at The HIVE – a £1 million ground-breaking research facility at the BRE Centre for Innovative Construction Materials at the University of Bath. The facility supports testing of hygrothermal performance, flooding and loads on construction materials using a range of state-of-the-art test cells.